Credentials: D.M.D. University of Connecticut School of Dental Medicine. B.S. Biological Sciences Group, University of Connecticut. General Practice Residency. Hartford Hospital. Dr. Dess is a native of Bristol, Connecticut. 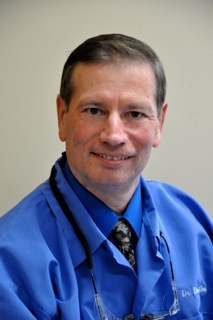 After completing his residency in Hartford Hospital where he had extensive training in all aspects of family and hospital dentistry, Dr. Dess moved to Portsmouth, Rhode Island where he has been in private practice ever since. While Portsmouth School Dentist, Dr. Dess assisted the town in fluoridating the water in the northern end of Portsmouth. Dr. Dess, his wife Thelma, and their two beautiful daughters, are proud to call Portsmouth home. Awards: American Academy of Oral Pathology Award, American College of Dentists Fellowship Award. Professional Organizations: American Dental Association, Rhode Island Dental Association, Newport County Dental Society. Interests: Cycling, Cooking, Hiking, Guitar, and Reading.